The world is facing a climate crisis, there’s no doubt about it. Some of the best and brightest minds in the world are working hard to come up with solutions. One such solution involves “climate engineering” in the form of spraying sulfur dioxide in the upper atmosphere to create a sulfuric acid cloud, as large volcanic eruptions do. But as with most things, there are potential unintended consequences. 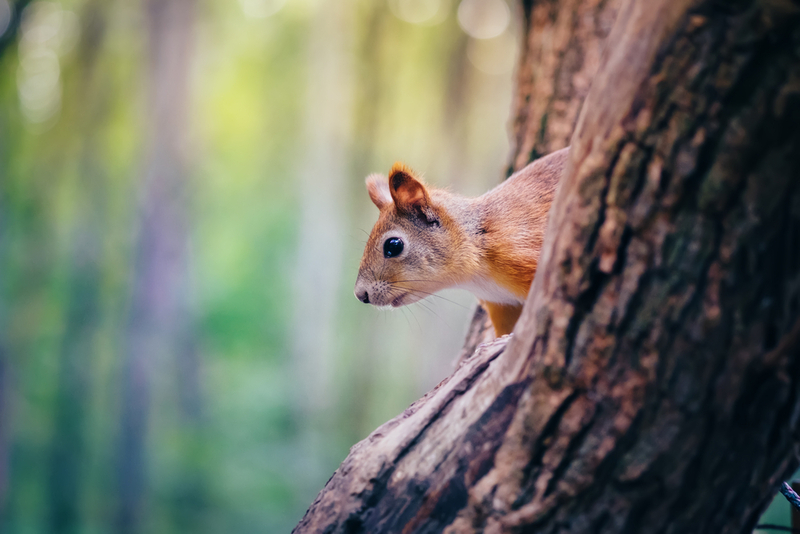 First, sulfuric acid is the main component of acid rain, which devastates forests, acidifies waterways to the detriment of aquatic life, and corrodes building materials and paints. In the United States, there were extensive efforts to clean up emissions from coal-fired power plants and steel refineries after it was discovered in the late 1970s that acid rain from these factories’ emissions was devastating forests in the Northeast. Secondly, even if the world’s scientists decided that the risk of acid rain was less than the risk of absolute ecological disaster and decided to go ahead with their mission of spraying sulfur dioxide into the upper atmosphere, new research from Rutgers University shows that suddenly stopping the spraying would have a devastating effect on animals and plants. Basically, if the spraying were to stop, the atmosphere would warm rapidly. But how would “climate engineering” with sulfur dioxide work? Basically, the cloud of sulfuric acid that forms after the airplanes spray sulfur dioxide would reflect solar radiation and cool the planet. The spraying would lead to an even distribution of sulfuric acid clouds in the Northern and Southern Hemispheres, which could lower the global temperature by about 1 degree Celsius—about the level of global warming since the Industrial Revolution began in the mid-1800s. However, planes would have to fly continuously into the upper atmosphere to maintain the cloud, because it would only last about a year if spraying stopped. But plants and animals simply can’t evolve that quickly, much less move quickly enough to find suitable new habitats. Another possible complication of the spraying plan: one side effect of it would be an El Niño warming of the surface waters in the Pacific Ocean, which would cause a devastating drought in the Amazon. Ultimately, what it all comes down to is that sulfur dioxide spraying may not be a viable option to keep global climate change under control. Between the effects of acid rain and the need for animals and plants to find suitable new habitats rapidly if the spraying stops and the temperatures changes rapidly, spraying of sulfur dioxide sounds like it could well cause more problems than it cures. According to a paper published in the Journal of Applied Meteorology and Climatology, large areas of the earth are experiencing rising maximum temperatures. This may sound like a no-brainer, given that we’re in an era of unprecedented global warming, but the conclusions drawn through this research are based on changes in land surface temperatures rather than changes in air and water temperatures. The researchers analyzed records from NASA’s Aqua satellite between 2003 and 2014 and found spikes in maximum surface temperatures occurred in the tropical forests of Africa and South America and in much of Europe and Asia in 2010, and in Greenland in 2012. 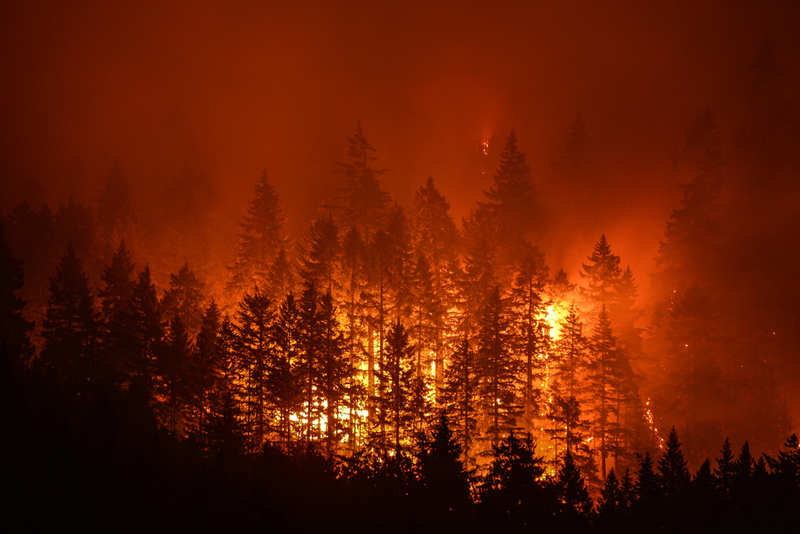 These measurements coincided with phenomena including severe droughts in the tropics and heat waves and wildfires across the northern hemisphere. The 2012 land surface temperature spike in Greenland was associated with massive melting of the Greenland ice sheet. What exactly is land surface temperature? It’s a measurement of the heat radiated by land—including soil, rock, and pavement—and vegetation such as trees and grass. Weather stations generally measure air temperatures just above the surface, so the satellite readings of land surface temperature are critically important in the study of global climate change. The researchers studied annual maximum land surface temperatures averaged across 8-day periods throughout the year. They used data from the Aqua satellite, which crosses the equator in the early afternoon as temperatures reach their daily peak. “As anyone who pays attention to the weather knows, the Earth’s temperature has incredible variability,” Mildrexler said. However, he added, the planet’s profile of high temperatures tends to be fairly stable from year to year. The researchers’ discovery of a consistent year-to-year profile allowed them to develop a new global-change indicator that uses the entire planet’s maximum land surface temperatures. 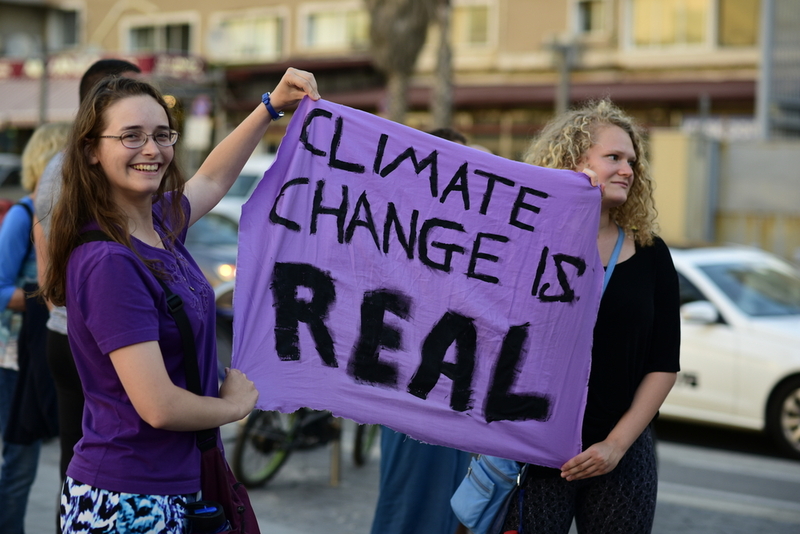 In other words, this new research supports the conclusions of a whopping 97 percent of scientists, who believe that global climate change is real, and it’s happening fast, and we need to do something to mitigate that before we reach a point of no return. The last year has been unprecedented in terms of climate change and climate news. President Trump pulling out of the Paris Agreement while two other remaining holdouts signed on, making the United States now the only country in the world that is not a signatory. Not only that, but he rolled back environmental regulations on everything from oil drilling to pesticide use. In terms of climate change, the news has been mostly grim, with a few bright spots. Researchers have found, for example, that the coral reefs in Australia’s Great Barrier Reef may be more resilient than once thought. In the face of inaction from the U.S. government, it is up to states, cities, and individuals to step up and be even more active on behalf of the environment. Everything from being better about recycling to writing to your Congresspeople and Senators will be a huge help in the fight for the earth. May the New Year be filled with positive news about the climate and newly energized climate activists who are shining a light on the things the current U.S. government is doing to destroy our climate. It’s time for us to get engaged, get active, and make the environment a priority, both individually and politically. Last week I wrote about how drought conditions in California, caused by climate change, are causing an increase in the number of wildfires there. But on the other side of the country, things are getting warmer and wetter, and that’s hurting farmers in lots of ways. You might thing that longer growing seasons and a warming climate would benefit the Northeast, which historically has long, cold winters. However, the increasing amount of rain those warmer temperatures are causing has brought flooded fields and an increase in diseases. For the past two decades, the Northeast has been getting warmer for longer periods of time, and, according to researchers at Cornell University, has experienced a 71 percent increase in the frequency of extreme precipitation events. That’s more than any other region in the U.S. 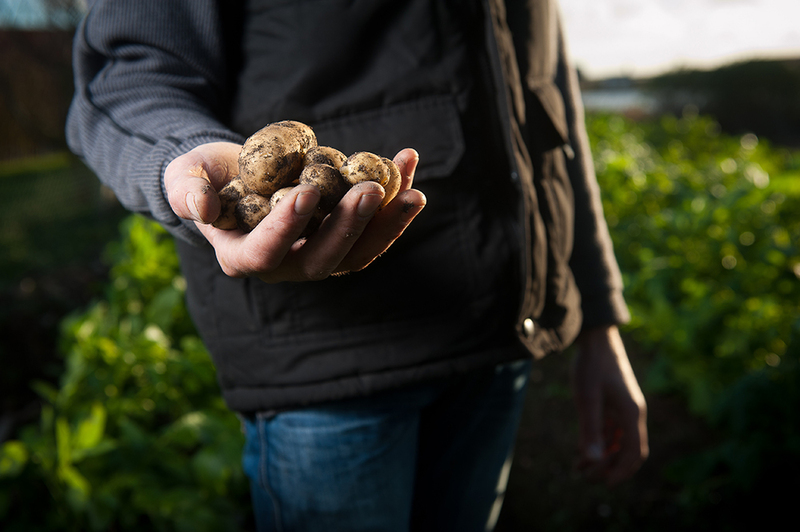 Heavy rainfall increases the likelihood that plants will develop diseases like potato late blight (potatoes are the number-one cash crop in Maine, so this is a big deal for farmers in that state) and fungal problems that stress carrots and other root vegetables. “Heavy rains not only cause disease problems, but can prevent farmers from having access to the fields to plant in spring or harvest in fall,” said David Wolfe, a professor of plant and soil ecology at Cornell and senior author of the paper. These extreme rainfall events are expected to continue through the current century, the researchers say. Farmers’ profit hinges on reaching markets early, when their crops have the most value. Delayed planting due to wet spring soils can have severe negative effects on farmers’ finances. Although they could try planting fields when they’re wet, their heavy farm equipment will compact soil and decrease its ability to hold water, according to the researchers. This, of course, will result in diminishing crop yields. However, the news isn’t all bad. “Climate change can easily intensify agricultural susceptibility, but also presents fresh, surprising opportunities,” Wolfe said. What those opportunities are, remains to be seen. But it’s increasingly clear that farmers all across the country—and all around the world—are going to have to adapt to the changing climate in their areas. New research gives us reason for hope that the Great Barrier Reef is not set up for doom, despite the extensive damage and bleaching of the reef itself. Scientists at the University of Queensland, the Australian Institute of Marine Science, CSIRO, and the University of Sheffield have recently published a paper with the results of an extensive study in which they found that there are still 100 reefs on the Great Barrier Reef that could help to promote the regional recovery of its ecosystem. The Great Barrier Reef consists of more than 3,800 individual reefs. These reefs have suffered unprecedented coral bleaching events over the past couple of years. Additionally, the coral-eating crown-of-thorns starfish has also been plaguing the reef system. The new study shows that there are 100 reefs that fulfill three criteria to promote coral recovery. First, they should lie in cool areas and rarely experience damage from bleaching, thus being able to supply larvae to as many reefs as possible. In addition, reefs should be located in areas of current that can supply coral larvae to as many reefs as possible; and they should not spread the larvae of the crown-of-thorns starfish. “The presence of these well-connected reefs on the Great Barrier Reef means that the whole system of coral reefs possesses a level of resilience that may help it bounce back from disturbances, as the recovery of the damaged locations is supported by the influx of coral larvae from the non-exposed reefs,” said study lead author Dr. Karlo Hock. 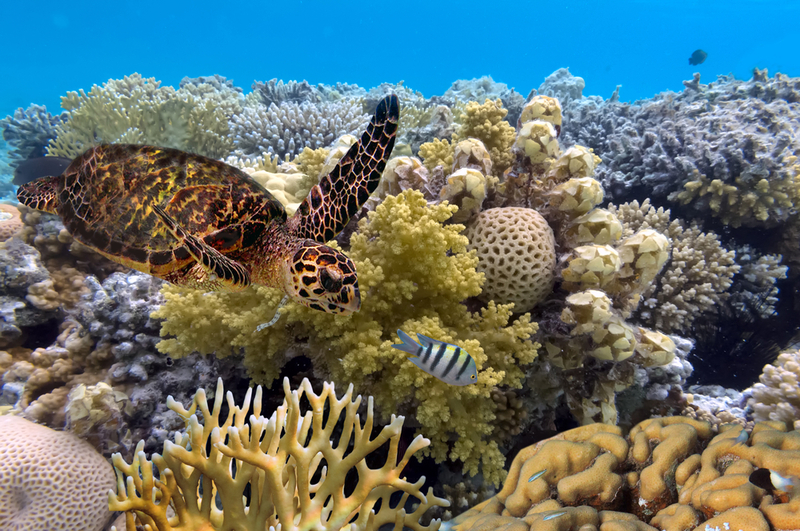 However, the research also indicates that focusing efforts on these healthy and well-connected reefs, and continual monitoring of those reefs’ health, may be a step toward restoration of the reef. The ecosystem is still vulnerable to the effects of climate change and predation. So, there’s reason for hope, but that optimism must remain guarded until the forces that caused the death of vast swathes of the reef system can be controlled. New data from the University of Alaska Fairbanks shows that missing Arctic temperature data, not the climate, created the seeming “pause” of global warming from 1998 to 2012. In fact, the improved datasets the researchers gathered shows that the Arctic warmed six times faster than the global average during the so-called global warming hiatus. Atmospheric scientist Xiangdong Zhang collaborated with colleagues at Tsinghua University in Beijing and Chinese agencies studying Arctic warming to analyze temperature data collected from buoys in the Arctic Ocean. “We recalculated the average global temperatures from 1998 to 2012 and found that the rate of global warming had continued to rise at 0.112 degrees C per decade instead of slowing down to 0.05 degrees C per decade as previously thought,” Zhang said. How did the data lead scientists down the wrong path before? Most current estimates use global data that represents a long timespan and provides good coverage of a global geographic area. But the Arctic, being so remote, lacks a comprehensive network of instruments to collect accurate temperature data. To improve the dataset, Zhang’s team relied on temperature data collected from the International Arctic Buoy Program at the University of Washington. For global data, the team used newly corrected sea surface temperatures provided by the National Oceanic and Atmospheric Administration. By doing so, the team was able to re-estimate the average global temperatures during that time with more accurate and representative data. 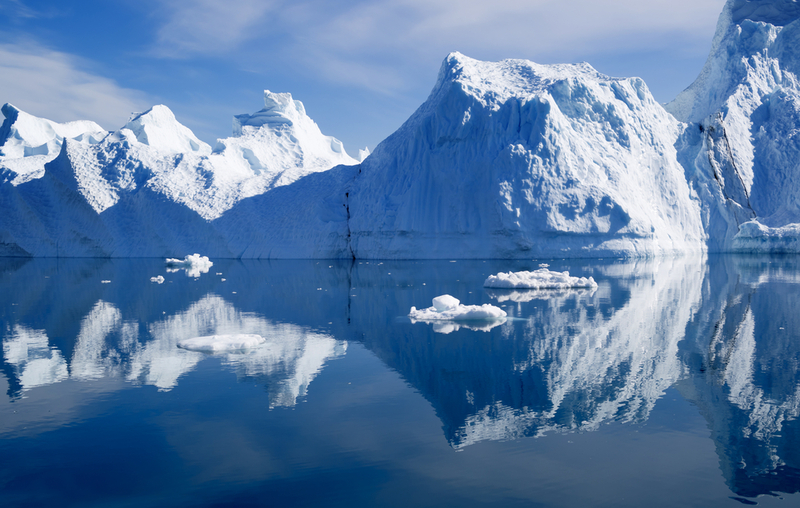 The global warming hiatus is a hotly debated topic among climate scientists. Some say that an unusually warm El Niño in 1997-1998, followed by an extended period afterward that didn’t have an El Niño may have disrupted global warming. It was a nice dream, but unfortunately, the new data sets and resulting estimates prove conclusively that global warming did not pause at all. Not only that, but until recently, scientists didn’t consider the Arctic big enough to greatly influence global temperatures.